Double sink vanity, electric behind the vanity so hairdryers/razer can stay plugged in and out of sight. Lower center drawers pull out for trash. 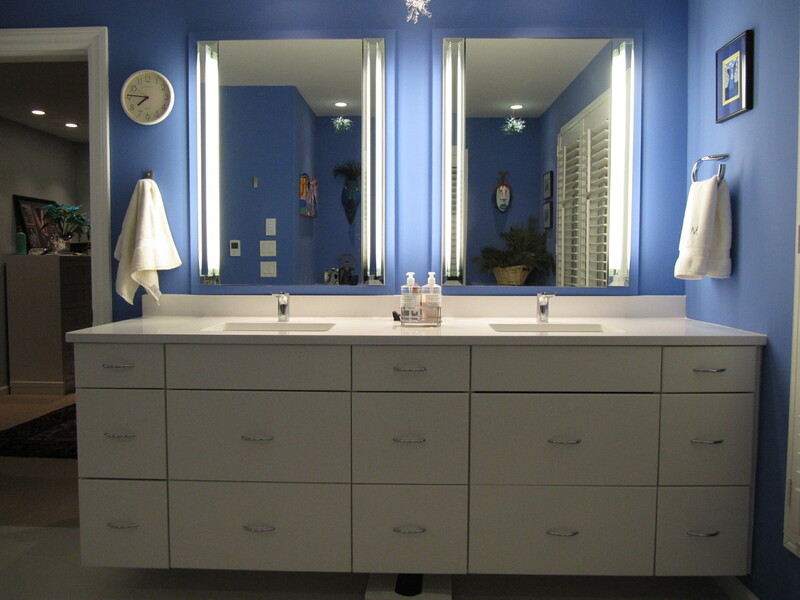 < Previous Double sink vanity, electric behind the vanity so hairdryers/razer can stay plugged in and out of sight. Lower center drawers pull out for trash.